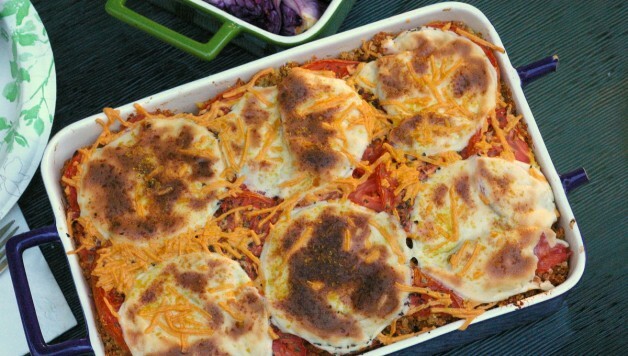 If you’re looking for something as quick and easy as pizza, but don’t want to load up on the carbs or the diary, then this quinoa pizza casserole is something you’re going to love. It’s a great make-ahead dish and it’s warm and comforting for those cold winter nights, and refreshingly simply for dinner on the patio with a glass of white wine for those long summer evenings. 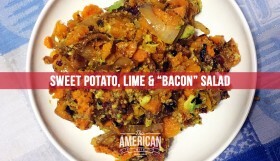 The leftovers are easy to reheat and this is a dish that really packs a lot of flavor in with a few simple ingredients. 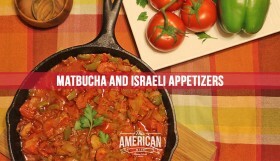 I discovered this dish when we had some family visiting for ten days in early September. I wanted to be able to feed the nine or ten of us each night without spending time away from our group activities. 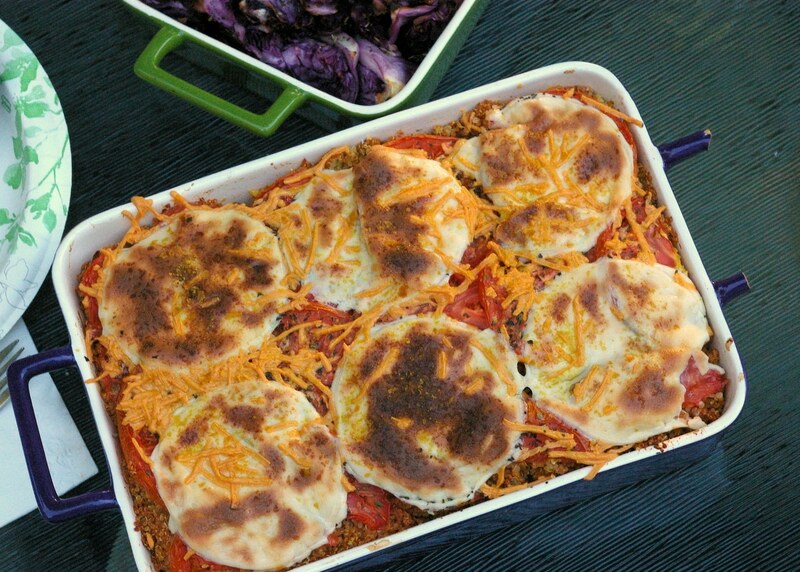 I had quinoa in the pantry, daiya cheese in the fridge, and somehow, the food Gods of the Internet directed me to this pizza quinoa casserole. 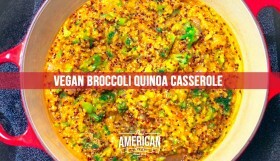 All too often I think of quinoa as a rice replacement, but this dish has opened my eyes to the variety of ways you can cook quinoa for breakfast, lunch or dinner. 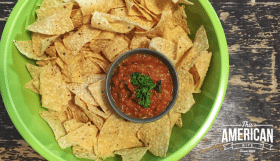 Quinoa is as easy to cook as rice, especially if you have a rice cooker, and if you’re using a jar of sauce, the quinoa is the only part of this recipe that needs to be prepared before everything else is combined. Gluten free, Dairy-free. Serves Eight to ten people. Adapted from Heidi’s beautiful version… go check out her photos! 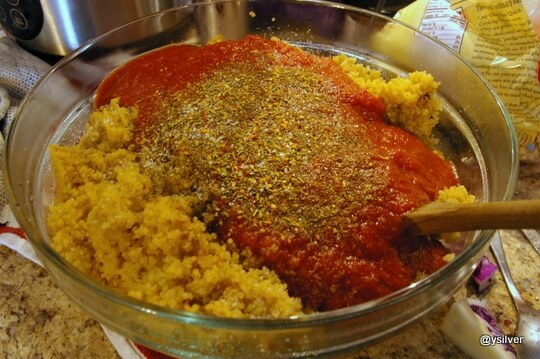 Rinse the quinoa and cook in a rice cooker, or your prefered pan with a tight lid. You can do this ahead of time if you’d prefer to. Preheat the oven to 350 degrees and line your casserole dish with Californian Extra Virgin Olive Oil. Combine all the ingredients and mix well. 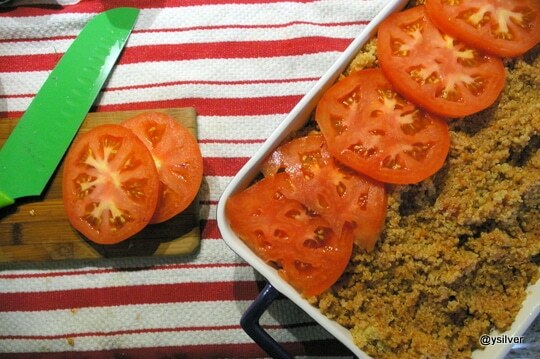 Pour the quinoa mixture into the casserole dish and cover with a layer of sliced tomatoes. Then sprinkle some salt and pepper over the tomatoes, then layer the mozzarella slices over the tomatoes. Sprinkle with some of your cheddar or pepperjack shredded cheese. 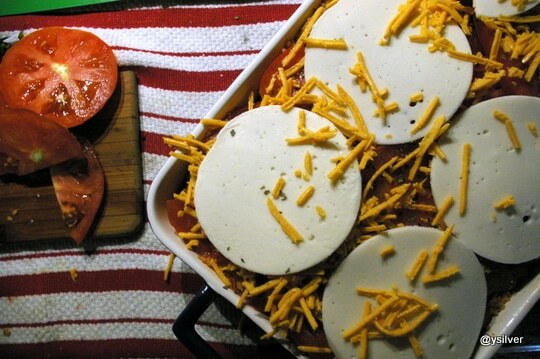 Bake for at least 30 minutes, or until the daiya cheese has started to melt. Serve with a large caesar salad and a glass of white wine.